This was first featured on Space Wolves Blog in 2009 which is now lost to the warp. In an effort to retain the information we have republished it here. Blood Claws are the ‘other’ Space Wolves troops choice. 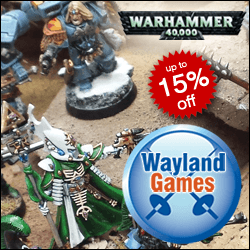 These Blood Claw tactics are going to explain how to get the best out of your Blood Claws squads and how they can be best used to support the rest of the army while giving you the best value for your points. 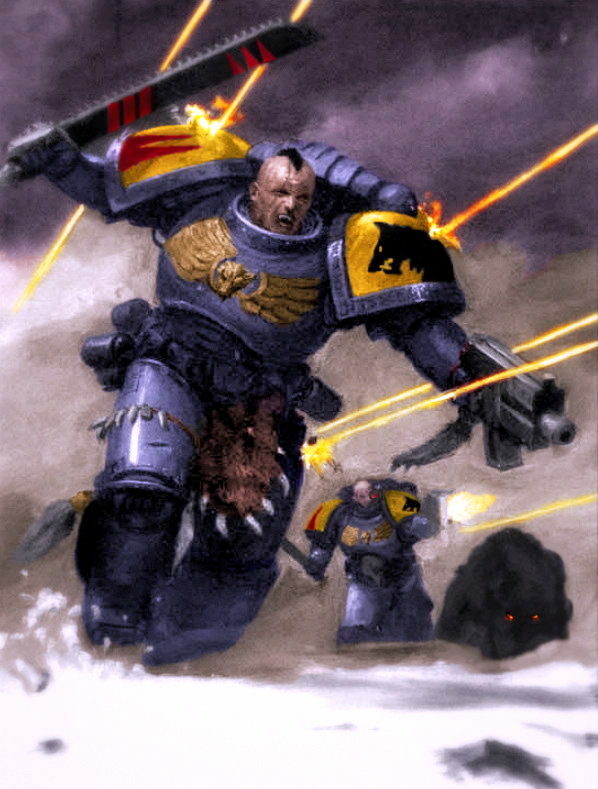 Unlike the new initiates of other Space Marine chapters, Blood Claws are given a suit of power armour, a bolt pistol and a chainsword so that they can get stuck into close combat. No sneaking about as scouts for the Space Wolves! As a result, Blood Claws are renowned for their ferocity, being Headstrong (so they charge anything), Berserk (they get +2 attacks when charging) and having a rather poor Weapon Skill and Ballistic Skill. They are initiates after all. Most competitive players aren’t a big fan of Blood Claws because they have always paled in comparison to Grey Hunters, but when led by a Wolf Priest, the close combat potential of the Blood Claws increases dramatically when they charge. They also need to be led by a Wolf Guard or Independent Character at all times, otherwise they forgo their shooting if within 6″ of an enemy and charge them, regardless of whether they can hurt that enemy or not! The whole point behind taking Blood Claws is to do something different to what a Grey Hunter pack can do. Otherwise, you’re better off taking Grey Hunters, because they’re a far more versatile and cost effective unit. So what can Blood Claws do that Grey Hunters can’t? Well, they can get +2 attacks on the charge and you can have up to 15 of them. So to make them worth taking, you want to max out on numbers and do your best to get the charge. 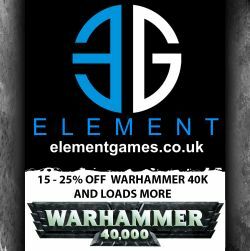 This means either transporting them in a Land Raider Crusader with its transport capacity of 16 or slogging it on foot as a mighty mob of power armoured Space Marines. I’ve taken a Wolf Priest for his Oath of War ability that gives the unit Preferred Enemy against either ‘infantry’ or ‘monstrous creatures’. Generally, I choose ‘infantry’, because it encompasses so many different units. I’ve give the Wolf Priest Runic Armour so he can catch a few more bullets for the squad with a 2+ save as well as a Wolf Tail Talisman to dispel psychic attacks on the squad on a 5+. Looking at the new Tyranid army, there’s a lot of psychic template weapons heading our way and for 5pts, it’s too good to pass up for a large squad. For more options, check out these Wolf Priest Tactics. I’ve also included a Wolf Guard in Terminator Armour to catch some bullets for the squad with his 2+ save. He’s armed with a combi-melta for extra tank busting/monstrous creature wounding and a chainfist. It’s not very cost effective to give a Blood Claw a powerfist, even if they are re rolling to hit, so this guy is the safest bet. Not only does he get Preferred Enemy, but he has 2 basic attacks and a higher Weapon Skill. For him the chainfist is cheaper and much better at ripping apart vehicles. For more about the various Wolf Guard builds, read these Wolf Guard Tactics. Finally, I’ve chosen to max out on as many Blood Claws as possible and given them a Melta gun, because it’s the best assault gun in the game and at 5 points it’s a steal. Even better, when you take 15 Blood Claws, you get another one Free! On the charge, this unit gets 60 basic attacks, 3 chainfist attacks and 4 power weapon attacks, all with Preferred Enemy for those all important re-rolls. When Counter Charging, this unit gets 45 basic attacks, 3 chainfist attacks and 4 power weapon attacks with Preferred Enemy. I’m not a fan of the Crusader, especially if you’re spending 250 points on a tank purely to deliver this squad into close combat. That’s 628 points in one very big basket! Once the Blood Claws have been delivered, the Crusader becomes rather redundant. If they were mounted in a Land Raider Redeemer, the Redeemer could go off and cause carnage on its own. It was driving towards the enemy anyway, so it may as well give the Blood Claws a ride on its way into the fight. The problem with the Redeemer is that it can only transport 12 models. So you’d end up reducing the Blood Claws to 10 models, the Wolf Guard to power armour and then the Wolf Priest. Once you’re down to 10 models, well, you’d be better off taking Grey Hunters for the equivalent points. Blood Claws are still relatively rubbish and when compared to all the other options in the Space Wolves Codex and they’re only worth taking in a large mob of 15 models. Regardless of who the enemy is, they don’t want to get charged by this squad. What makes this unit different is that it doesn’t care about taking damage due to the sheer number of power armoured models. It’s tough to put down with shooting and can form an excellent centre for a Space Wolves attack wave. This unit forces your opponent to make the Catch 22 tactical decision. He can shoot the Blood Claws and get jumped by everything else, or shoot everything else and get jumped by the Blood Claws. Hopefully with so many units charging straight down your opponent’s throat, he’ll be unable to put them all down before the Space Wolves crash into his lines, downing his tanks with their melta guns and ripping apart his troops with tooth and chainsword!